Today I bring to you a quick weekday dinner. 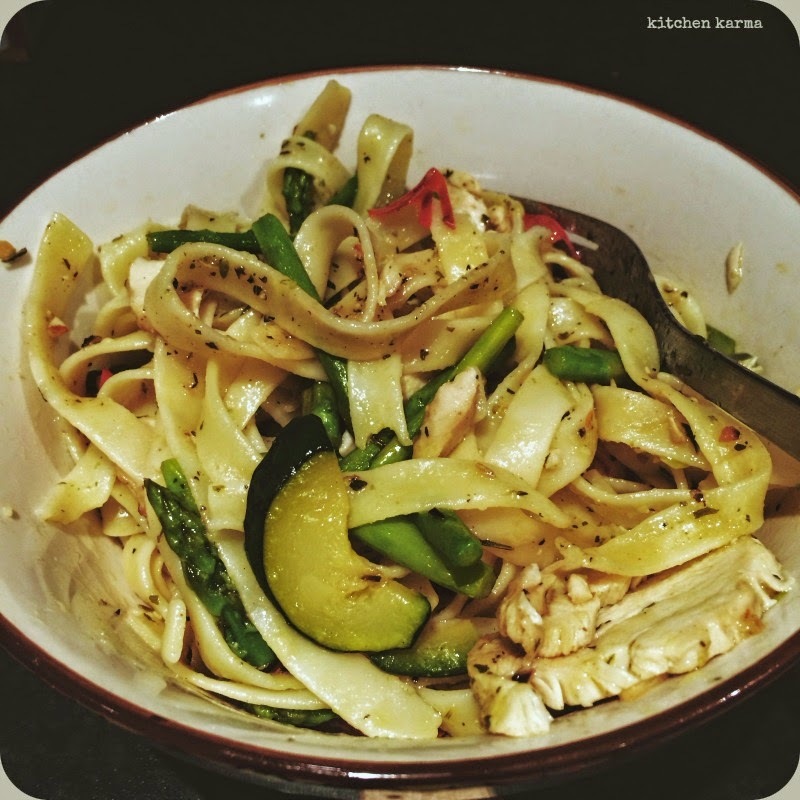 A bowl of pasta, made with chicken, zucchini and asparagus, flavoured with a fat red chilli, two pods of garlic, lime juice & zest and some dried mixed Italian herbs. Really simple and easy. And the recipe is really forgiving and accommodating The veggies that go into this pasta depends on what is in the fridge. But veggies I do throw in and often loads. Ready under 20 minutes this pasta dish is a life saver after a long and busy day. How did your Monday go? I find a different recipe, thanks for this food guides.